There’s a lot of competition in the smart home arena. With so many options to choose from, it can be hard to pick one for a gift. 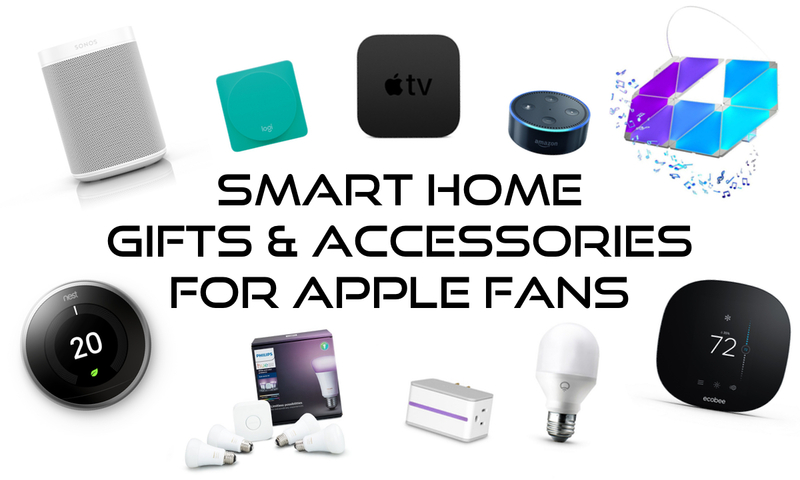 Fortunately, we’ve done the hard work for you picking out the best smart home accessories that any Apple fan will love. Here are great smart home accessories and gifts you can give to any Apple fan in your life in 2018. They’re bound to love them! We have listed the MSRP price at the beginning of each item, but pay attention to the links, as we’ve tried our best to get the best price for you, often cheaper than the suggested retail price! Probably the most recognizable smart home product, Philips Hue allows you to turn on and off your lights, adjust the brightness, and even change the brightness, all from your phone! It works with voice assistants too, so you can control the lights just by talking to Siri, Amazon Alexa, or Google Assistant. You can use third-party apps to sync the lights to music and movies, and you can schedule the lights to turn on or off at certain times. You can even control them when you’re away from home! The lights work with Apple’s HomeKit, so it’ll fit into any Apple user’s smart home setup. 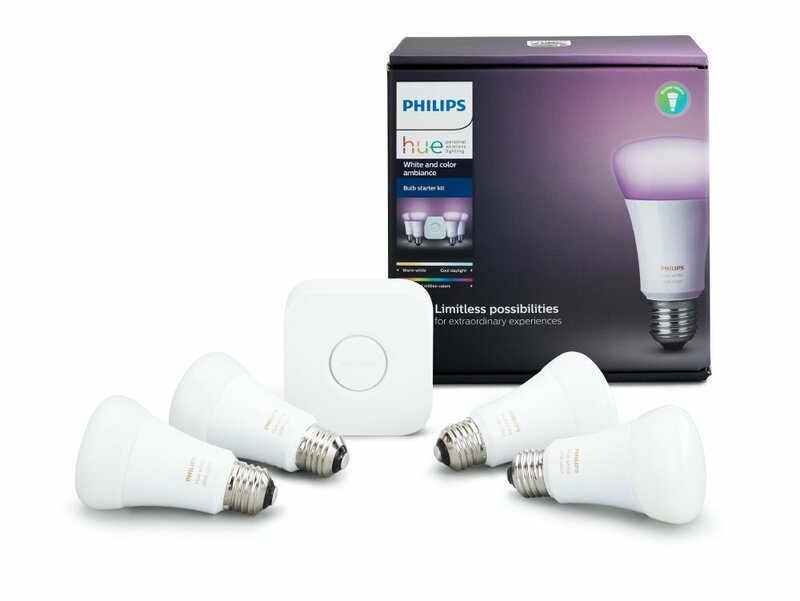 The starter kit includes the Philips Hue bridge, and 3 or 4 lights, depending on which one you get. This is easily one of the best smart home accessories you can buy. If the person you’re buying a gift for already has a Philips Hue setup, then a single White and Color Ambiance bulb is always a welcome addition. The latest generation of Philips Hue White and Color Ambiance bulbs have more accurate colors, which really shows when using colors such as Cyan and Yellow. The bulb is also 800 lumens, 200 lumens brighter than the previous generation. 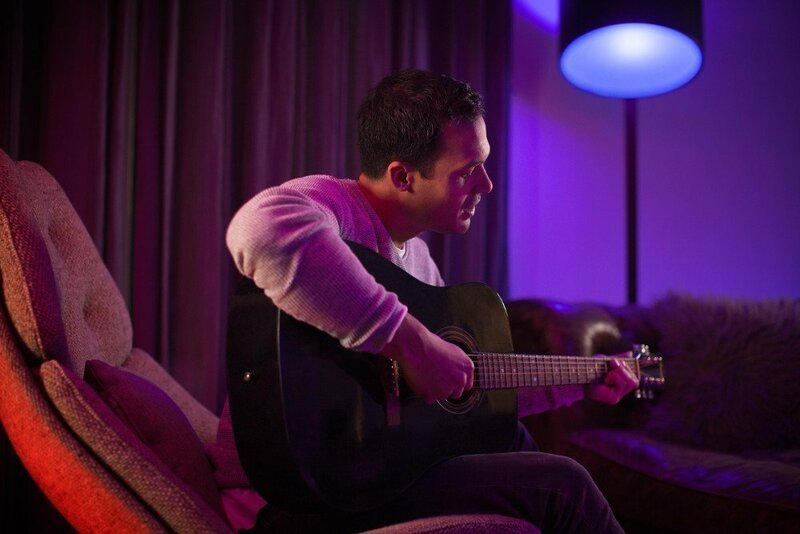 Just be aware that you’ll need a Philips Hue bridge to use it. 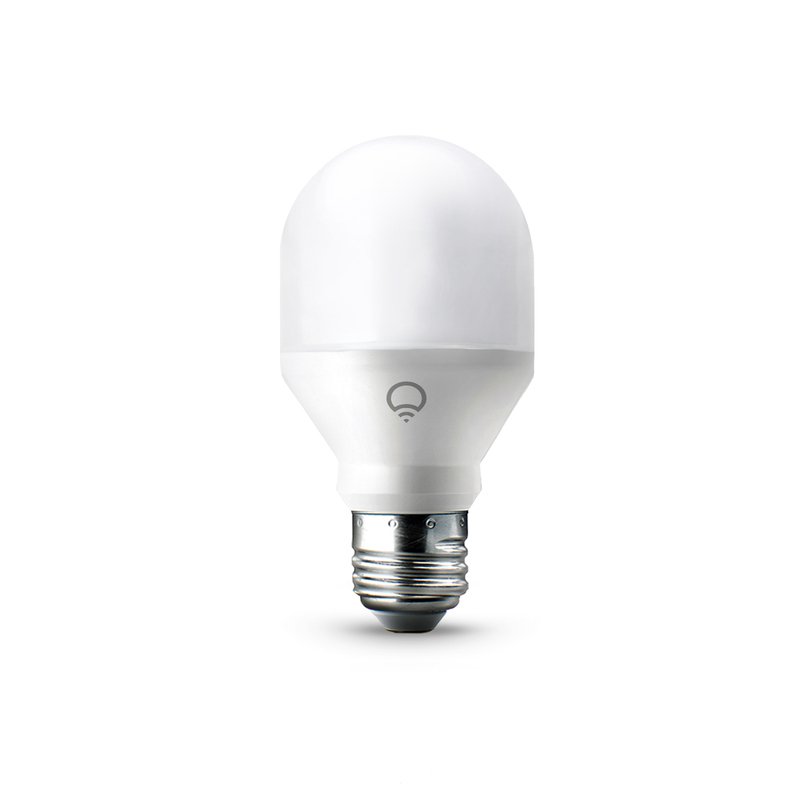 If you would prefer not to use a bridge, check out the LIFX Mini bulb listed below. While Philips Hue has a great ecosystem, it can be a bit expensive up front, as it requires a hub. The recently released LIFX Mini is a great alternative to Philips Hue, as it does not require a hub, making it more ideal as a gift. It features very similar specs to Philips Hue too. It has 800 lumens, and you can control it with HomeKit, Amazon Alexa, Google Assistant, and you can schedule them. With the full color bulb being priced at $45, the LIFX Mini bulb makes an ideal gift. If you’re looking for unique HomeKit lights, look no further. 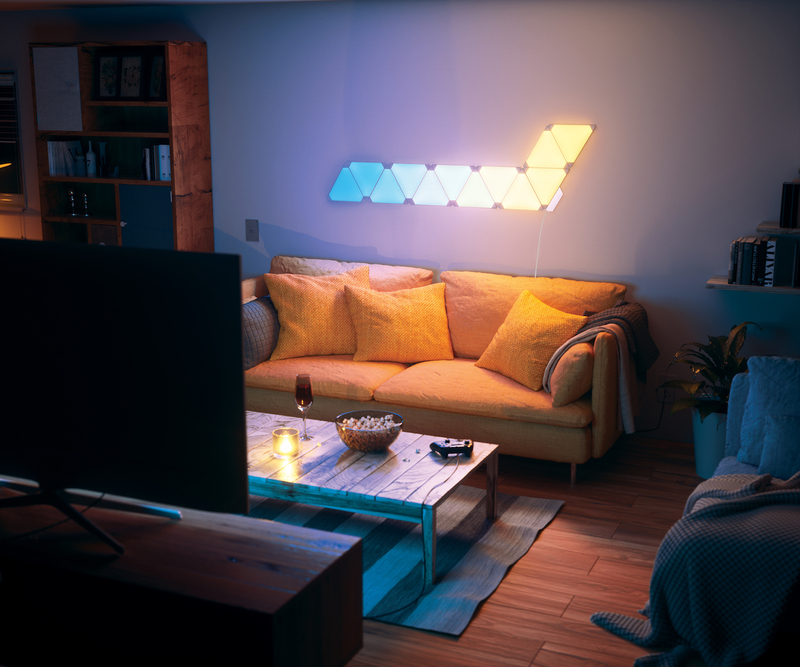 The Nanoleaf Light Panels are modular light triangle that you can arrange to any design you like! It features HomeKit compatibility, so you’re able to activate scenes and turn it on right from your iOS device. You can create color animations yourself, or download them through the Nanoleaf app. It also works with Amazon Alexa, Google Assistant, and IFTTT. 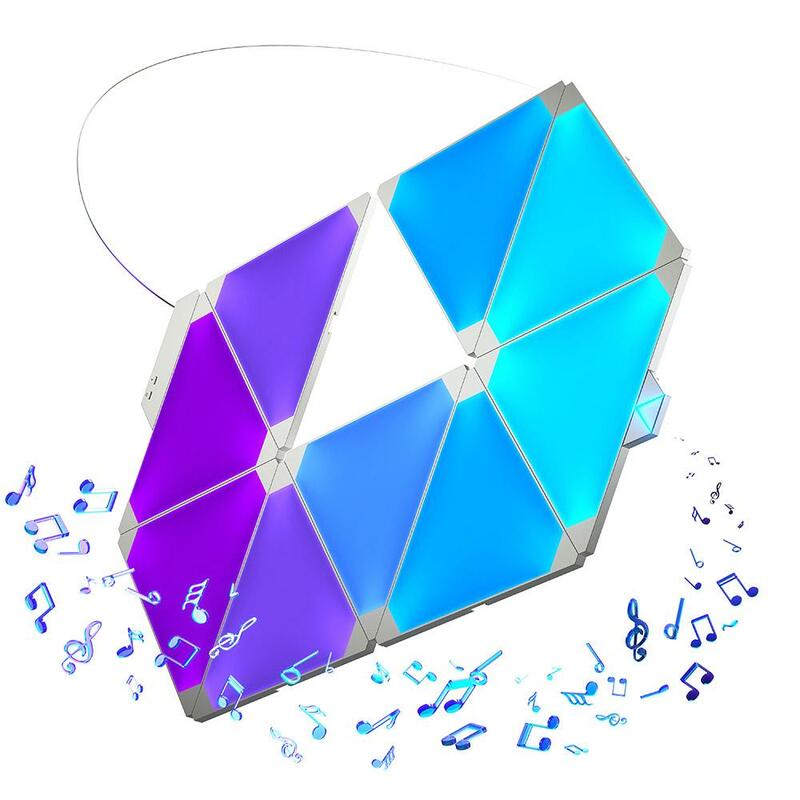 The Nanoleaf Light Panels Rhythm Edition includes 9 panels and the Rhythm Module, which allows the Light Panels to react to music. If the person you’re buying a gift for already owns some Nanoleaf Light Panels, you can buy the Rhythm Module separately, or you can buy 3 additional panels via the expansion pack. Usually, the Rhythm Module sells for $50, with the Nanoleaf Light Panels Rhythm Edition retailing for $230, the Smarter Kit for $200, and the expansion pack for $70. However, we have special links down below that’ll allow you to shave either $10 or 5% off your purchase, depending on your location. Click on the appropriate link down below according to where you link to have your special coupon code generated. There are sometimes when it’s inconvenient to use your phone or voice to control your smart home. The Logitech POP Smart Button Kit includes a bridge and a smart button, which you can map to do simple tasks, such as turning on or off an accessory, or activate powerful scenes. For example, you can have a single tap activate movie time, which would dim the lights, adjust the thermostat, and turn on the TV. A double tap could be used to turn off all the lights, turn down the thermostat, turn on some fans, and lock the door. And a hold could toggle a single light. The buttons work with Apple HomeKit, so if you have a HomeKit accessory, the POP button will be able to control it. It also plays well with IFTTT, Nest, Sonos, and more. A starter kit, which includes the bridge and a single button, sells for $60, with each additional button selling for $40. No smart home is complete without a virtual assistant! 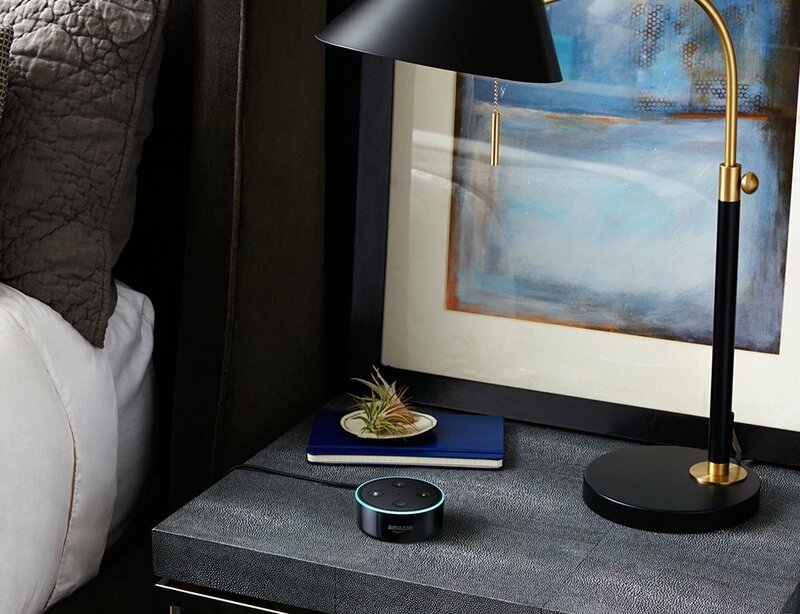 With Amazon Alexa, you can control your lights, thermostats, locks, smart outlets, media, and more! More then that, it’s useful for a bunch of other stuff, such as setting timers, inquiring information, hands-free calls, and lots more! At just $50, the Amazon Echo Dot makes a perfect gift for any smart home enthusiast. 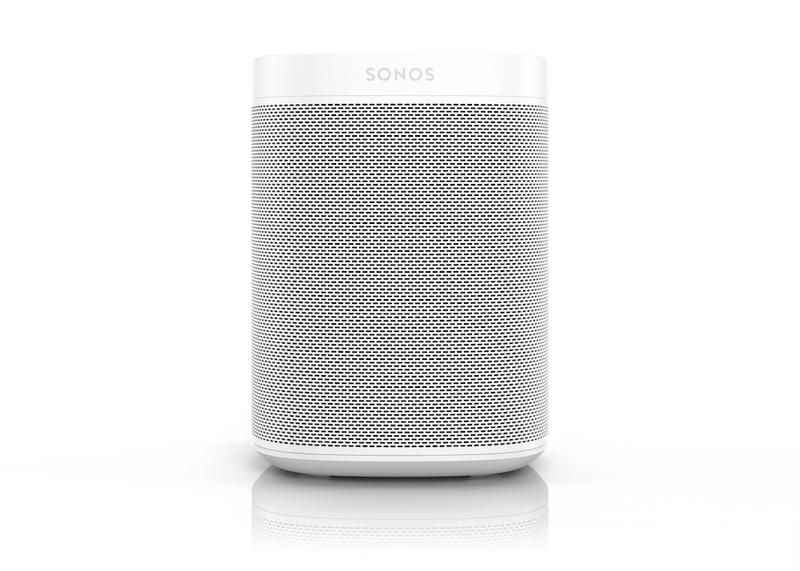 If you already aren’t familiar with Sonos, it is a lineup of different speakers that let you achieve multi-room audio. 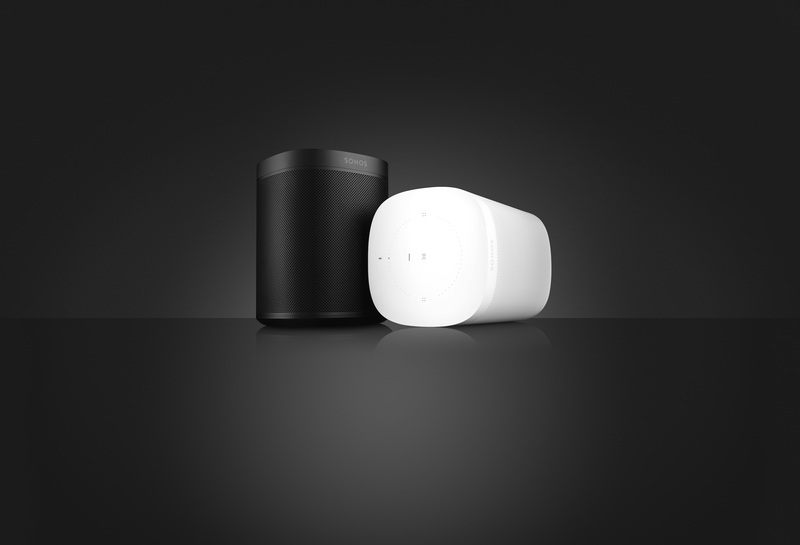 The recently released Sonos One speaker is very similar to the Sonos PLAY:1 speaker, but the added features make it a must have for smart home lovers. 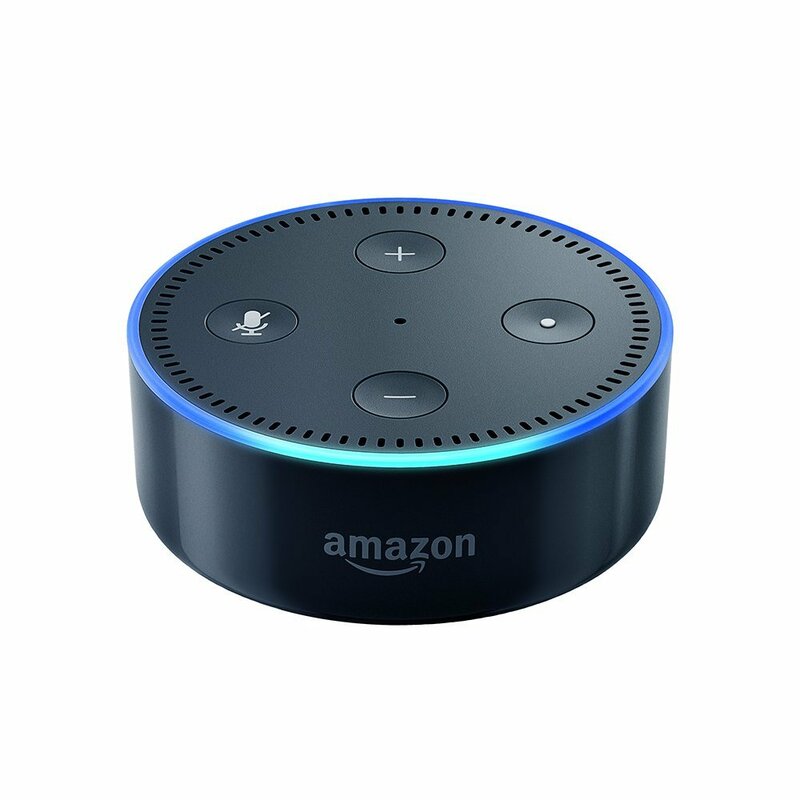 It has both Amazon Alexa and Google Assistant baked in, you can activate either one just by saying the keyword! It’s great for turning on or off the lights, adjusting the temperature, settings timers, looking up information and more. What’s better, Sonos has announced that in 2018, the Sonos One will support Apple’s AirPlay 2, so you can pair the Sonos One with other AirPlay 2 speakers and control it in Apple’s Home app. 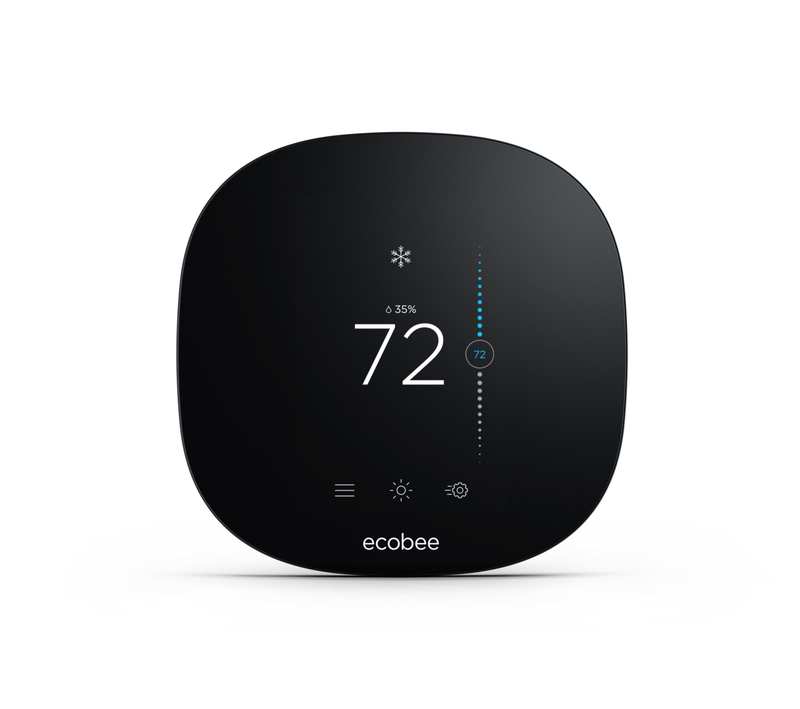 The EcoBee3 Lite is one of the finest HomeKit compatible smart thermostats. It features a 3.5″ touch screen for adjusting the temperature, or showing the outside weather. You can control the temperature from your iPhone, Apple Watch, or just by using Siri. It also has optional room sensors that you can use to get the ideal temperature in every room, and it can tell which rooms are in use, to help converse energy. It also works with Amazon Alexa and IFTTT. 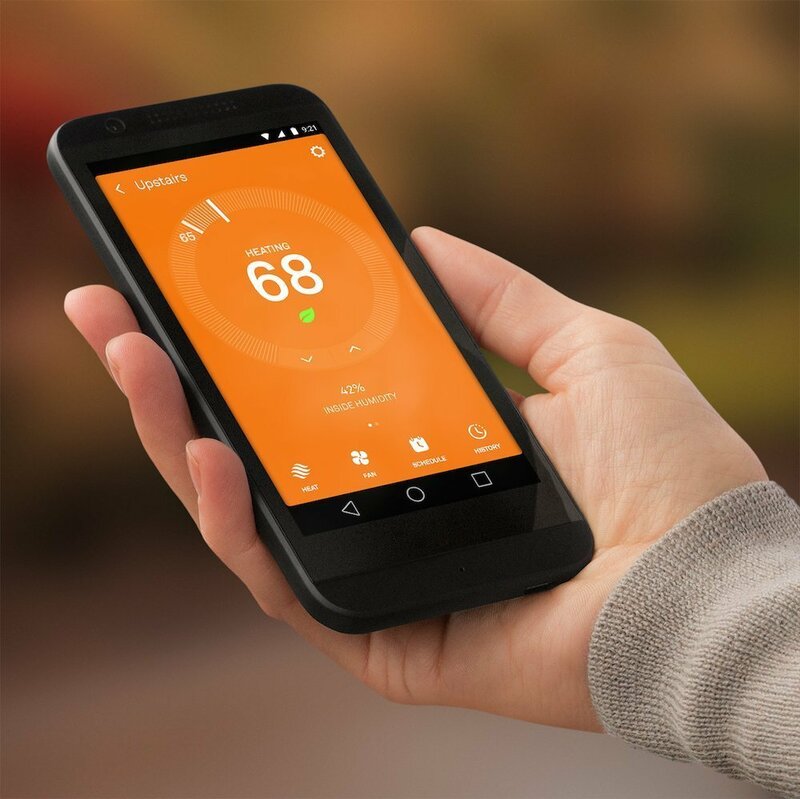 Smart thermostats are a great investment, as they usually pay themselves by the savings you get in a few years. The EcoBee3 Lite is a great, affordable smart thermostat that any Apple fan will love. Nest is owned by Alphabet, a Google company. The Nest Learning Thermostat doesn’t support HomeKit. 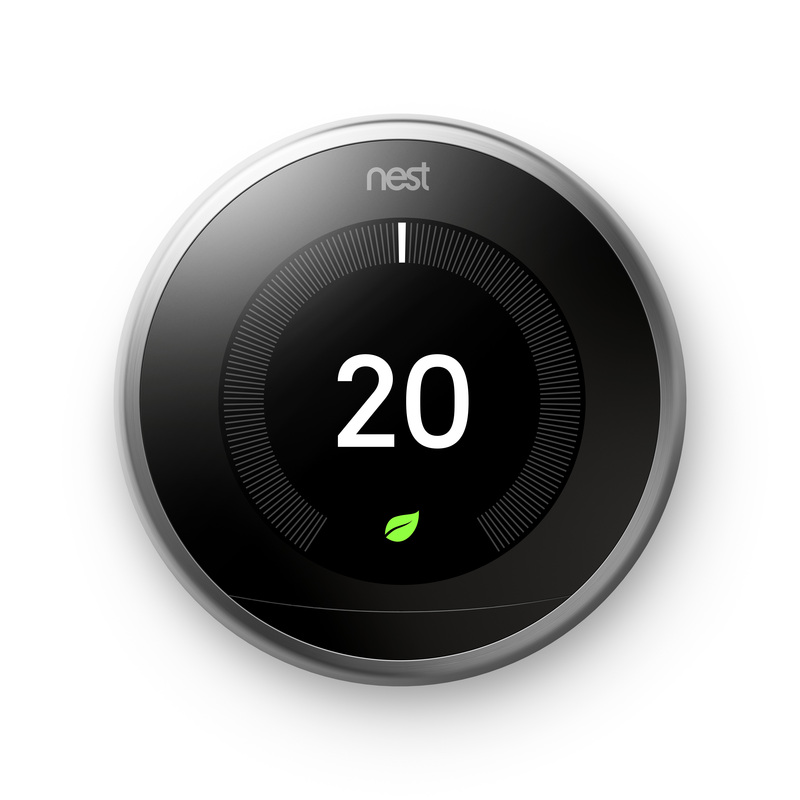 So why would an Apple fan want the Nest Learning Thermostat? There’s plenty of reasons! First off, it was created by Tony Fadell, who also helped created the iPod. The Nest’s ring feels a lot like the scroll wheel on the iPod. It’s a very innovate way to interact with the Nest, and it allows for more precision then a touch screen can allow. Not only that, but the Nest thermostat is arguably the most attractive looking smart thermostat on the market, with the stainless steel ring available in 4 different finishes. And while it doesn’t support HomeKit, it does offer an iOS app, as well as an watchOS app. It also integrates with Google Assistant and IFTTT. I personally own one and love it, even if it doesn’t support HomeKit, and any Apple fan is bound to love it too! 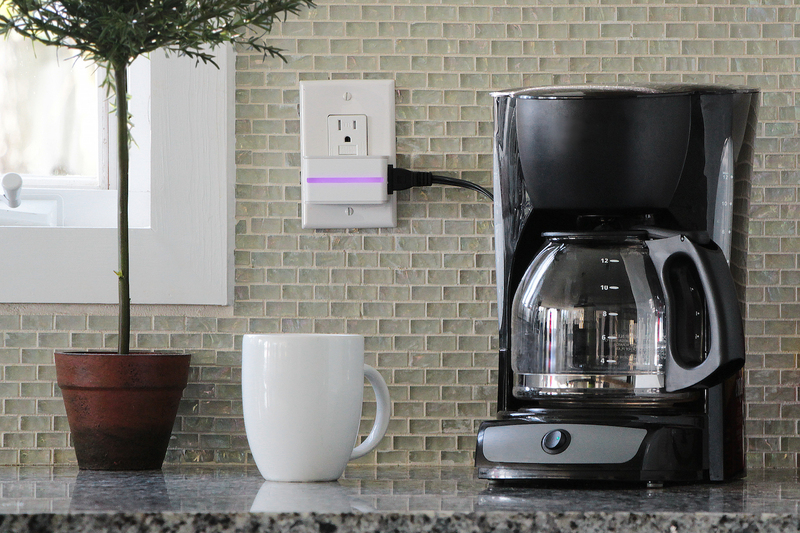 The iDevices Switch is one of the best smart outlets. It supports Apple HomeKit, you can control the switch from the Apple Home app or with Siri, but it also supports Amazon Alexa and Google Assistant. This is a simple way to convert “dumb” devices, like fans, humidifiers, and lamps, and making them smart. You can use the iDevices app to view how much power the appliance uses, and it features a nightlight on the front that you can change to any color you desire. 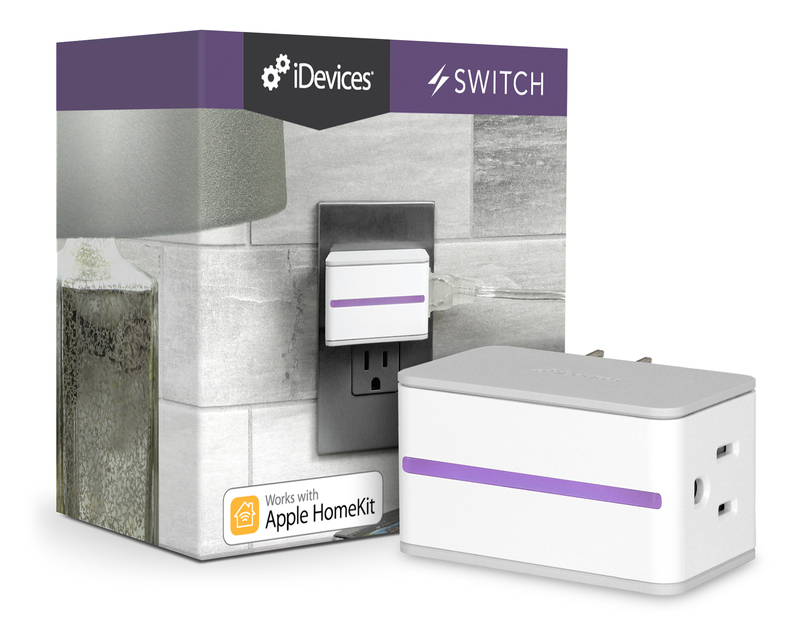 The iDevices Switch is a great affordable gift for any Apple fan. An Apple TV is a great base for any Apple smart home. 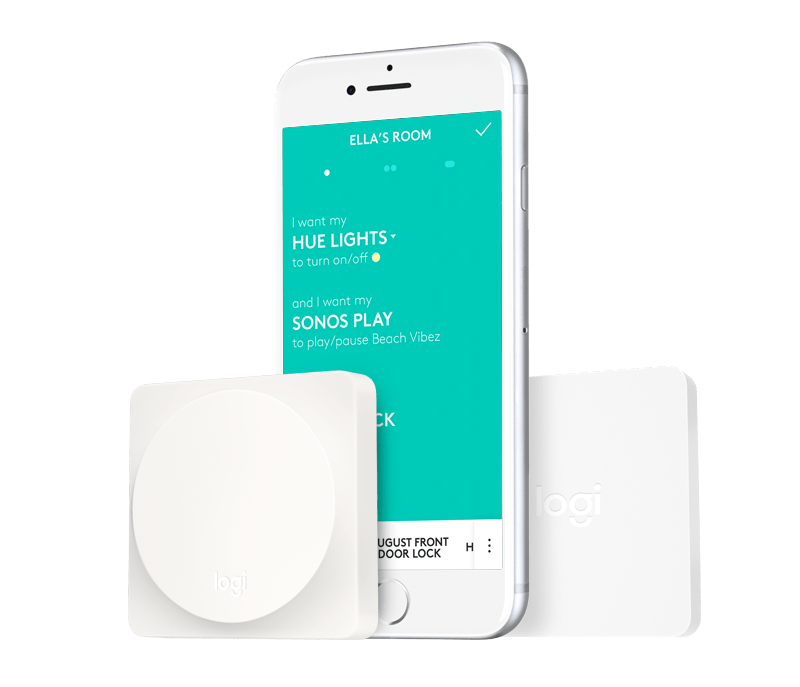 It allows you to create automations with your HomeKit accessories, and it grants you the ability to control your HomeKit devices away from home. You can also use the Siri remote to control your HomeKit devices when you are at home. 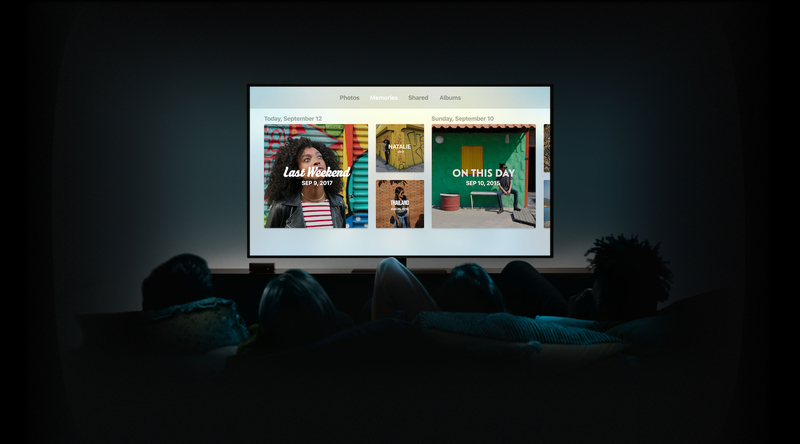 Along with the smart home abilities that the Apple TV has, the Apple TV is great for mirroring content from your iOS device onto the big screen. It’s also great for watching movies and playing games. If the person you are buying a gift for already owns an Apple TV, you might see if they have an older generation. The 3rd generation Apple TV doesn’t allow automations with HomeKit, while 4th generation Apple TV doesn’t support 4K or HDR. 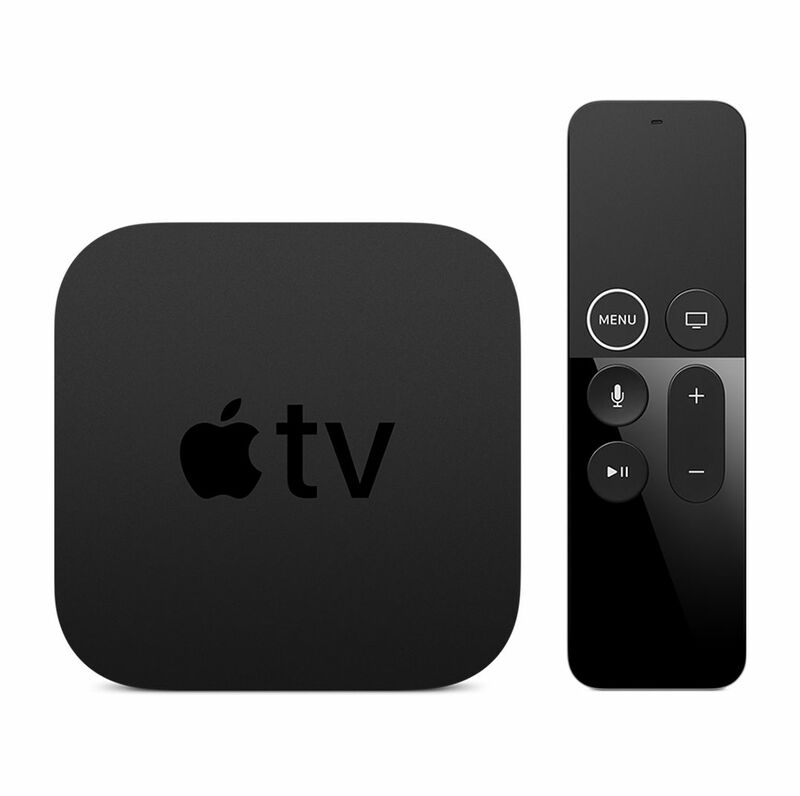 The Apple TV 4K does, and it also features a more powerful processor which is great for gaming. So these are our favorite smart home gifts and accessories that you can give to someone. What are your favorites? Which of ours do you plan to buy as a gift? Let us know in the comments down below! And be sure to subscribe to us on our social media platforms for updates on the latest smart home tech and reviews!